With the Admin module you can set the permissions of your users for the respective modules and can add new users or change existing user accounts. 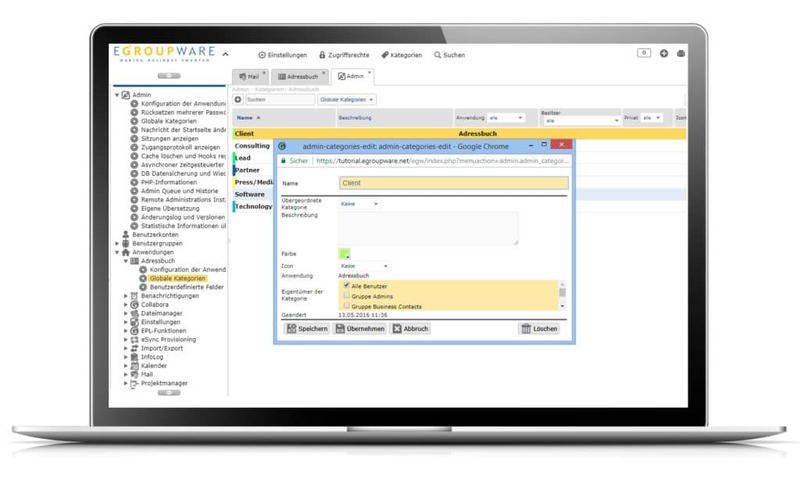 The most important configuration settings for your EGroupware application can be found in this module. This also includes the adaptation of the layout (colours, logo, etc.) to the CI of your organisation. Our tutorials and webinars help you to set the most important parameters. In addition to the admin module, there are further possibilities to make different settings on the software. You can set access rights at group and user level. We recommend that you administer the users as far as possible at group level. Create your own user groups and determine who has access to the respective application such as tasks, email or project management. In addition, you can set who is allowed to read, edit or delete which data within the module. 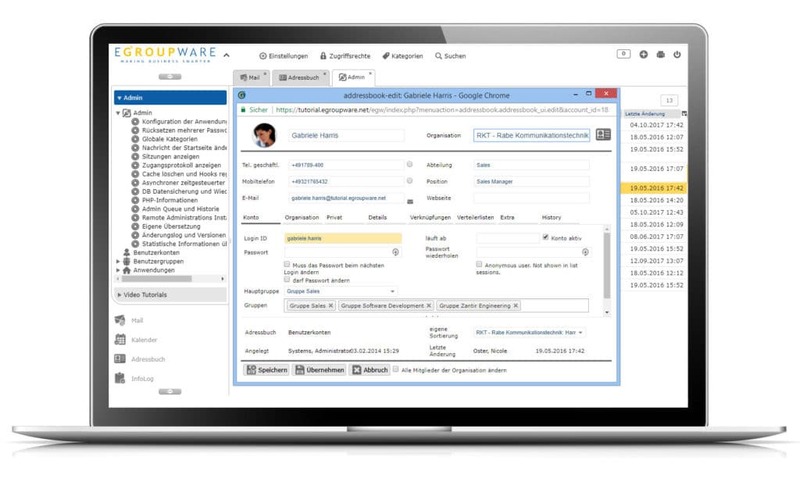 EGroupware offers several ways of user authentication, such as..: Active Directory, LDAP, Mail and others. User administration can be outsourced to external systems. 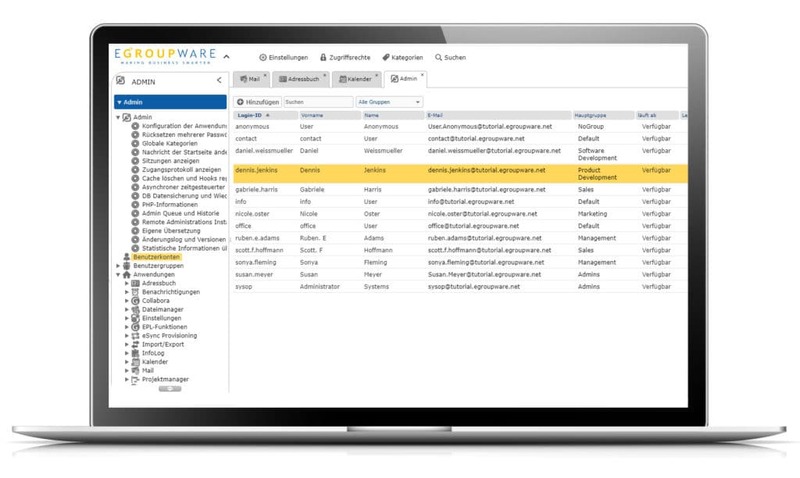 Access rights will continue to be processed in EGroupware. 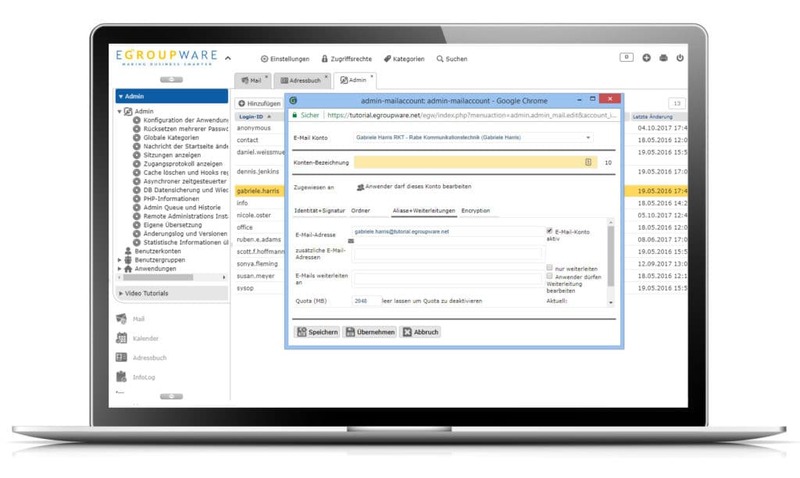 This makes it very easy to connect EGroupware to an existing single sign-on system and eliminates the need to maintain users twice. This is especially interesting for larger organizations. Each EGroupware module has its own configuration with which the module can be adapted to individual customer requirements. Here you can enter settings for the PBX or a lock for data records to be exported, for example. You can then make further settings with the module Settings. There you can enforce settings for all employees or choose a default setting that is optimal for most users. In addition, users can change these default settings as required. 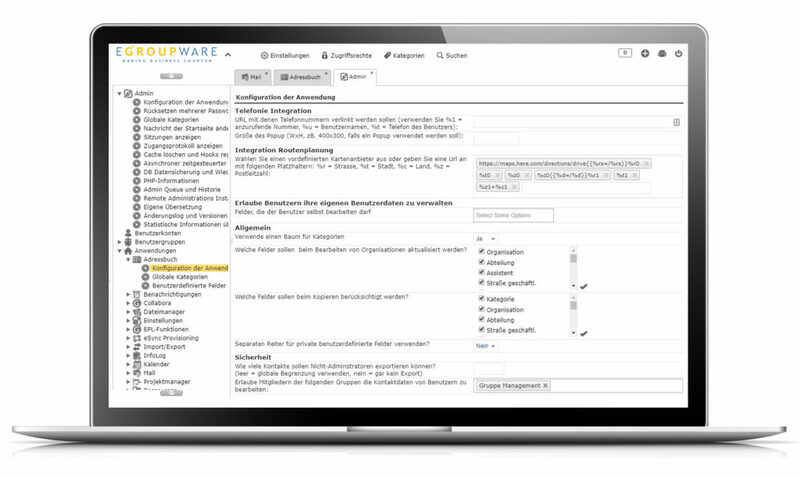 In EGroupware you can create different types of categories to get a better overview and additional filter criteria. You can create superglobal categories (valid for all modules), global categories (only one module) and personal categories (per user and module). This distinction allows you to access different categories in the address management (e. g. customers, partners, suppliers) than in the calendar module (e. g.: meetings, holidays, training).